Votec Double Decker Votec is a trusted name in the premium wireless accessories market. Whether you are looking for cellphone protection or just a carrying case for both of your phones, all the essential needs are met in its unique design. Each one of the pouches is designed for durability as well as a way to express your personal style. 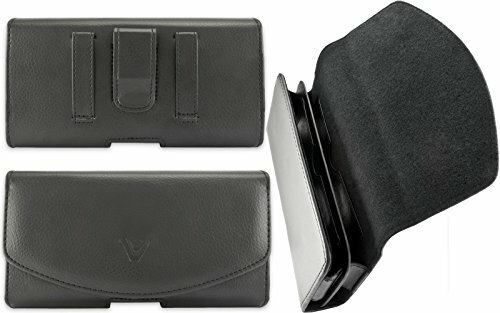 While the primary purpose of a pouch is to offer protection and easy access to your phone, the Votec double decker premium pouch offers the extra of being able to to hold two cards with each phone, this will allow you to carry an ID and a credit card, or any other card combinations that you can think of. This business class pouch is ideal for the user that decided to go with the same brand and same model phone route, as the current double decker model fits two iPhone 6 phones in the available slots. The executive look and feel will make you stand out in any business meetings, stay confident that your phones are protected and easily available when you need them the most. No need for extra cases for protection, no need to be worried of getting your phone lost or stolen, keep your phones ready to go all the time. When it comes down to choosing cell phone accessories there is no doubt that Votec is a leader in the premium brand market, with attention to detail and years of experience Votec surpasses the competition with its exclusive design and superior manufacturing. The business world awaits If you had been thinking on going the dual phone route now is your chance to manage your phones in the best ways possible, you will not be disappointed of choosing to keep your personal and work life separate. The Votec Dual Decker would be the best choice to carrying and protecting your dual phone setup. High Quality PU Leather Finish for a Professional look and feel. Back clip, for attaching your pouch to your clothing or car accessories. Belt loops, for a secure fit utilizing your everyday belt. If you have any questions about this product by VOTEC, contact us by completing and submitting the form below. If you are looking for a specif part number, please include it with your message.